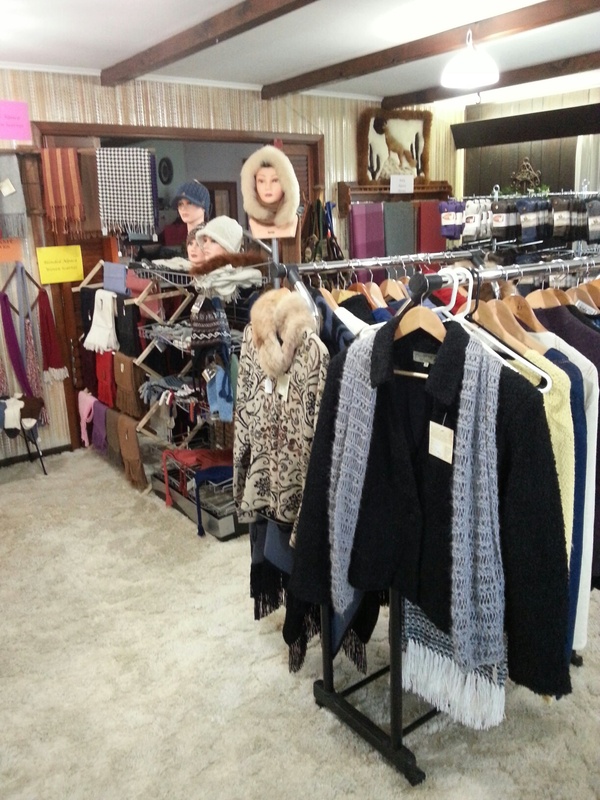 The shop carries socks, coats, jackets, slippers, yarn, blankets, felted soaps, hats, gloves, scarves, mittens, sweaters and more! Owner, Sue explains that "Alpaca fleece is warmer than wool, wicks water away from your skin, is hypoallergenic to most people and is very soft. There's nothing like it!" Alpacas are shorn once a year in the spring, and their fleece can be spun into yarn, felted or sent to a co-op to have alpaca products, including socks, produced. Come visit the farm and store to get an up close look at these friendly animals. Spinning lessons are also given if you set up appointments. Hours are Mon and Tues 5-7pm, Wed, Thurs, and Fri 11-7, and Sat 9-5. Like them on Facebook or visit their online store!